This is my submission to Deb for this week’s Souper Sundays, to this week’s Wellness Weekend, and this month’s Credit Crunch Munch. 1. Combine all ingredients (except lettuce) together in a bowl. Allow to marinate at least a few hours for the flavours to meld. Season to taste. 2. 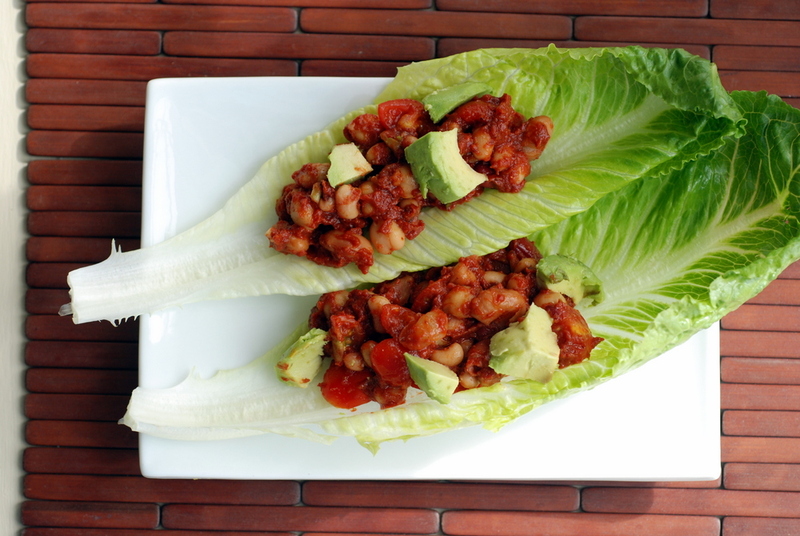 Place bean medley inside Romaine wrap or overtop chopped lettuce. Sprinkle chopped avocado overtop. I am saving this to try next week. After all the protein-meat heavy eats leading up to this competition, a more raw bean-based meal sounds like heaven. I find your eats incredible, Laura. You are very dedicated to follow such a strict diet! As long as Sue is always taken care of! 😉 These look fabulous, Janet. And hang in there! You’re so close now! Woot woot! This sounds amazing and would make an amazing summer dish- sometimes turning on any cooking equipment in the summer in unthinkable! Goodness that does look good. Thanks for entering Credit Crunch Munch. These look delicious Janet! 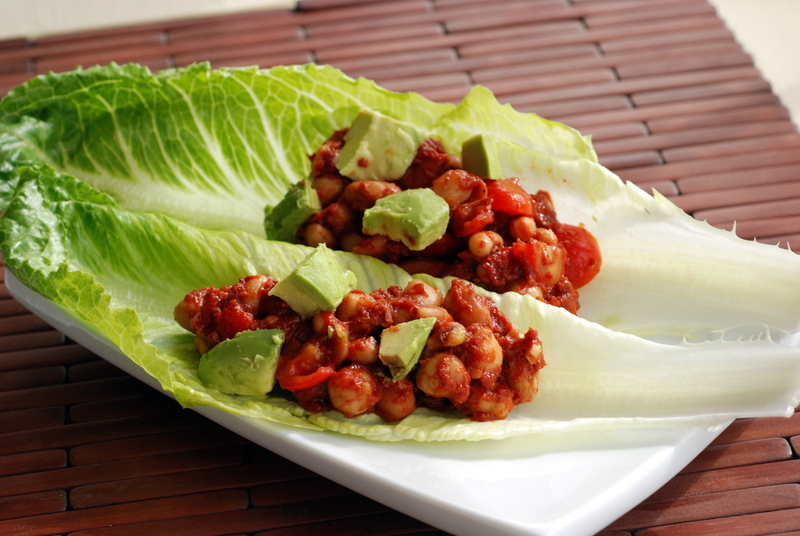 Thanks for sharing this recipe on Healthy Vegan Fridays!